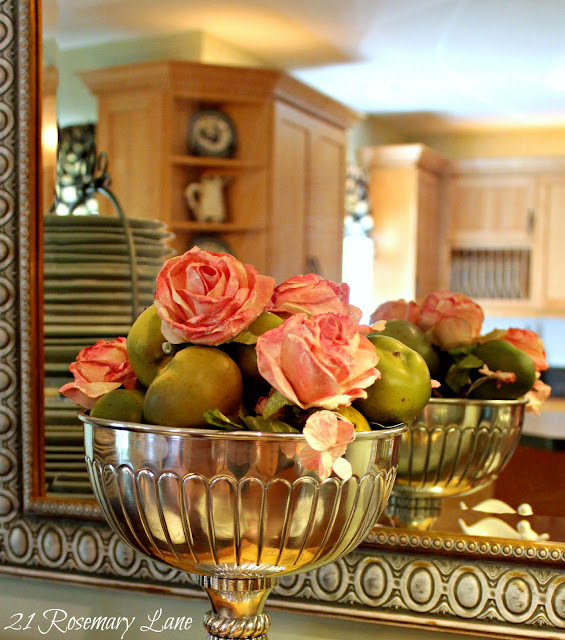 According Feng Shui, hanging a mirror in the kitchen will will bring prosperity to all who reside in the home. 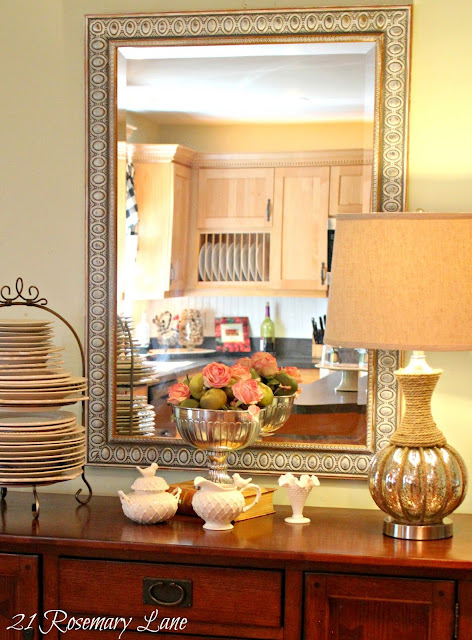 Well I don't know about that but I do like the sparkle a mirror brings to a living space...so why not hang one in the kitchen? Now as you may or may not already know, my kitchen is pretty big, but it is located in the back of the house with a large screened in porch off of the kitchen sliders, so it doesn't get as much natural light as I would like in the space. Adding this large mirror reflects the light which does come into the room making it feel brighter without all of the tungsten lighting flipped on. I also love the fact that the mirror serves also as a large piece of artwork in what it reflects...it's just a matter of keeping the island an counter tops clear and neat! The other cool thing that happens is that the picture changes depending on where you stand in the room. 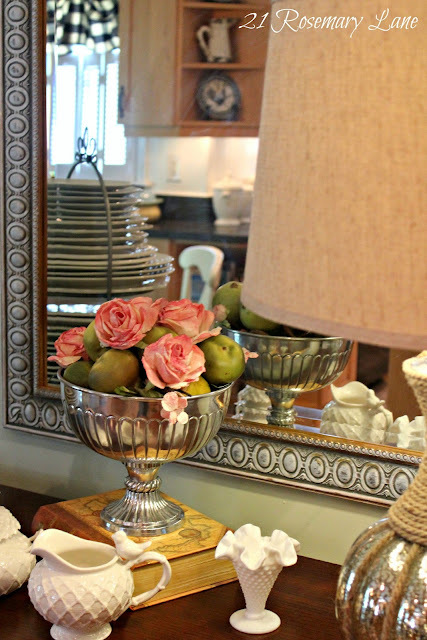 I also think a mirror adds a bit of elegance to a room...what do you think? Hope you are having a wonderful day!!! I love it, Barbara! You're right, it adds more light and makes the room seem bigger. It's a beautiful mirror, too! I have mirrors everywhere in my house. 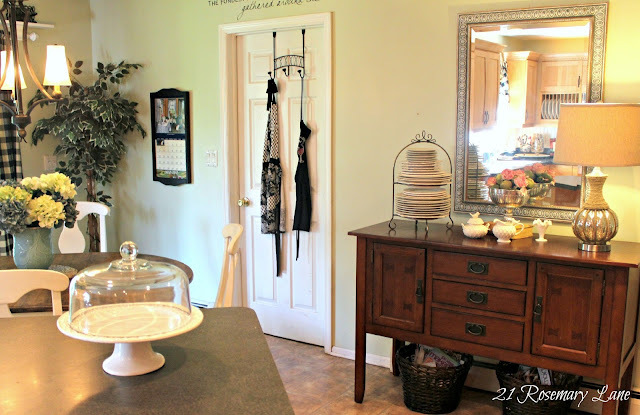 Your kitchen mirror is lovely, Barbara! You have such a beautiful home! Beautiful! 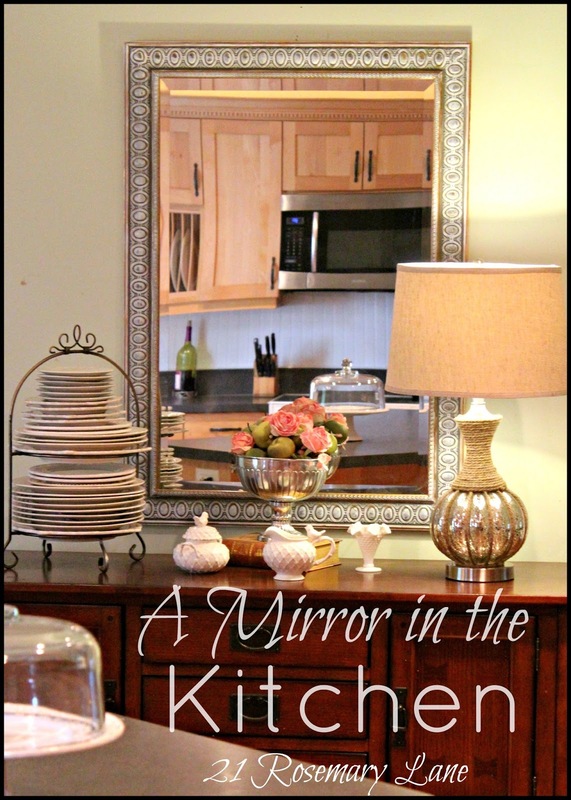 I love mirrors, and in fact, have a small square one on the wall in the corner of my kitchen counter. It lightens up a dark corner, for sure! Oh I think it is a fabulous idea. 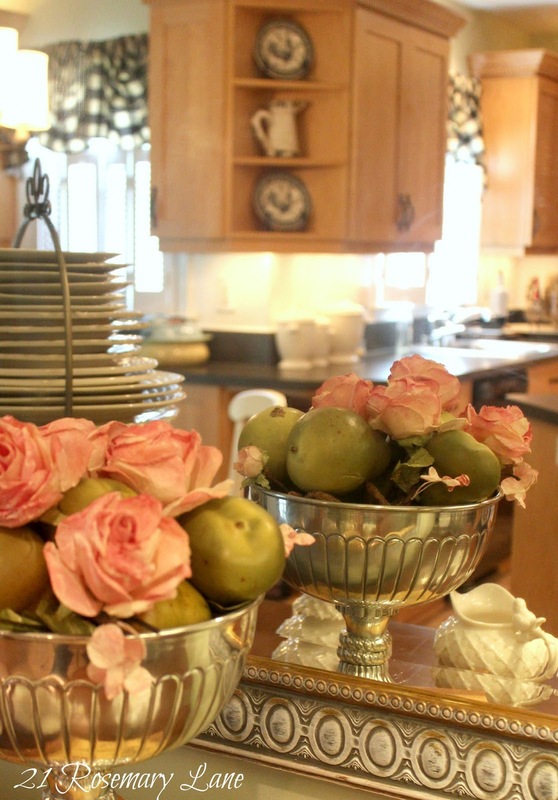 Your kitchen is lovely and I adore the buffet and mirror. I would love for you to link up to my Inspire Me party that is ongoing. I truly enjoyed your photos. Such a pretty vingette.